My husband looooves Asian food. If it were just up to him, he’d choose to go to the local Chinese restaurant for every single date night! Since he’s very good about letting me have my pick, too, we have to make up for gaps in Chinese dine out experiences by eating plenty of Asian-inspired food at home. We eat fried rice a lot, throw seaweed and chili sauce into random dishes, and even make our own sushi on occasion! I’m always on the lookout for new Asian dishes. 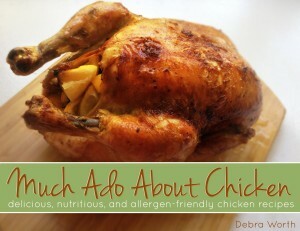 When Debra’s Much Ado About Chicken cookbook came out recently, I crossed my fingers that there would be some good Asian-inspired chicken recipes. There are! In addition to the recipe that Debra is letting me share today, there are also recipes for Asian Glazed Wings, Sweet and Spicy Chicken, and Cashew Chicken…as well as other chicken dishes and techniques from around the world. 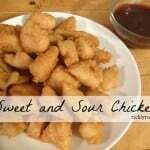 The Sweet and Sour Chicken recipe looks particularly tasty, though, and that’s the one I’m sharing with you today! Put the oil or fat in a 4 quart pot and begin heating over medium-low to medium heat until it reaches 375°. Line a baking pan with a heat-proof cooling rack and set in an oven on its lowest setting. Mix together all of the ingredients for the batter, using only 8 Tablespoons water, except the vinegar. 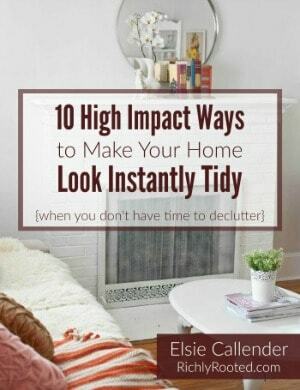 Let sit for at least ten minutes. Cut the tenders into thirds lengthwise. If the tops of the tenders are wide, cut them in half also. Dab the tenders dry with paper towels. 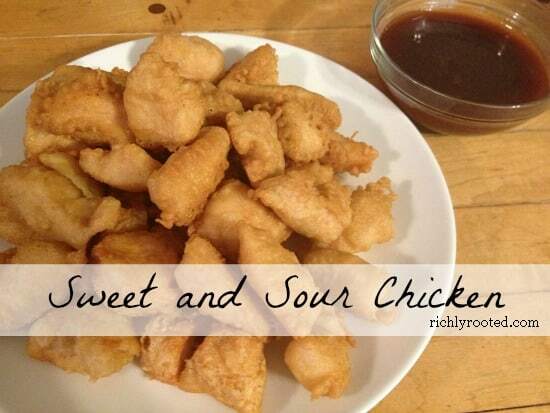 Mix together the salt, arrowroot powder, baking soda, and garlic and sprinkle evenly over the tenders. Mix the vinegar into the batter. You are looking for a consistency just thicker then a crepe batter. Add additional water if necessary. Dip each piece of tender into the batter, let excess drip off, then gently place into the hot oil. Cook 4-6 pieces at a time for 4-6 minutes until the outside is golden brown and the tenders are cooked. You may need to flip the pieces halfway through, depending on size. You can cut the first few pieces open to see if they are done and get the feel of what they need to look like on the outside to be done. Put the pieces on the sheet pan in the oven to keep warm. Make the sweet and sour dipping sauce by mixing the ingredients in a small saucepan and boiling for two minutes, until thickened. This recipe is from page 16 of Much Ado About Chicken. Used with permission. What’s your favourite-ever dish to make with chicken? This sounds delicious! I can’t wait to make it for my husband who also loves Asian food. So happy to have found you through Pennywise Platter Thursday. Take care. Thank you for stopping by! I love Pennywise Platter!